The first time Carla Reyna rapped on stage, she only had one song to perform. It was the early 2000s, and then-18-year-old Reyna had recently discovered the ingenious yet unruly underground hip-hop scene in her hometown of Monterrey, Mexico. Immediately following the performance, a woman from the audience approached Reyna to ask why the set was so short, and Reyna confessed it was the only material she had. The woman begged her to make more, saying it was the first time she’d seen a female rapper command the male-dominated stage. 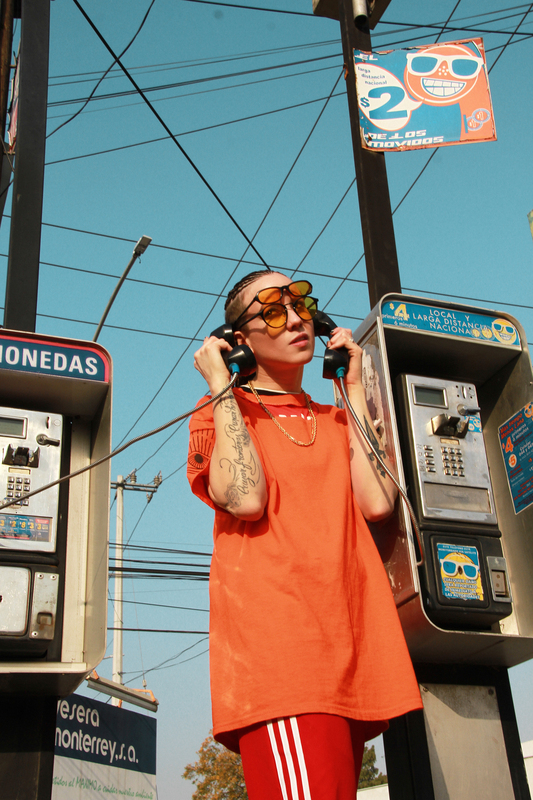 With inventive flows, razor-sharp wordplay, and an infectious, laid-back delivery, Reyna quickly made a name for herself within Monterrey’s scene. And she easily stood out. 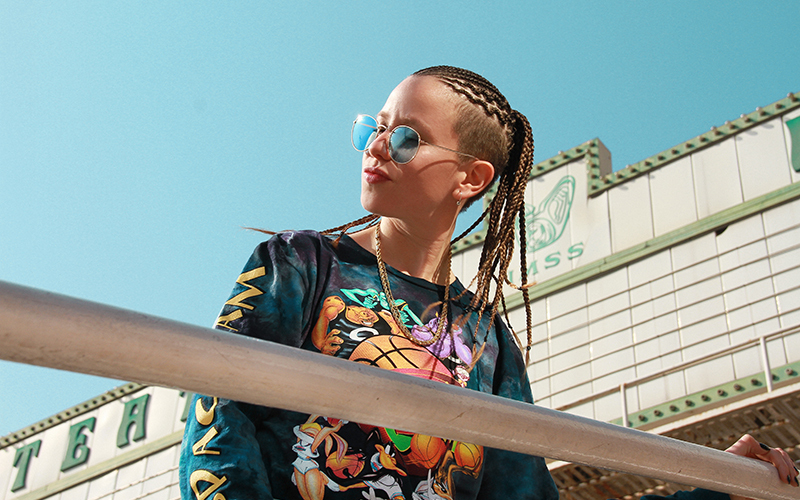 As a light-skinned, openly queer woman, Reyna’s physical identity and sexuality challenged every preconception of what a rapper should look like in the city’s machista hip-hop culture. She also pushed the scene’s soundscape beyond its usual boundaries by infusing her work with experimental beats, introducing unexpected electronic, Caribbean, and Latin elements into her songs. An outsider status might be Reyna’s biggest strength. Through the years she’s honed her voice to become one of Mexico’s most important—and most unlikely—emcees. Now, after moving to Los Angeles and releasing her third studio album, Reyna, she’s ready to break into the U.S. market. The album title holds a dual meaning—it’s both her surname and a homophone of reina, the Spanish word for queen. On the album, Reyna’s most personal work to date, she takes her heightened maturity and hard-won confidence for a soulful, celebratory spin. The lyrics are entirely in Spanish, but even non-Spanish speakers can revel in the intensity of her voice and the dance-inducing rhythms. The album exudes the clarity that comes with actively conquering doubt. On the track “América,” Reyna candidly spotlights the racism she’s witnessed since moving to the States, especially as a Mexican immigrant. She opens the song with a slow, uncharacteristic croon: America es un continente y pertenece a mi gente (America is a continent and it belongs to my people) before introducing the chorus’ anchor: Tu privilegio se tiene que ir / Tu racismo se tiene que ir (Your privilege has got to go / Your racism has got to go). In the four-minute-long track, Reyna covers a lot of lyrical ground, rapping about Islamophobia, Harvey Weinstein, gender violence, and the threat of nuclear war. But the song never feels bloated—it’s provocative for a purpose, goading people to examine their biases and to resist intolerance. This same sentiment anchors the album’s most celebrated track, “Tambalea,” in which Reyna wields her self-confidence as a powerful form of resistance, but not before challenging her skeptics to question their own belief systems. Que es lo que te choca de mi? / Yo siempre ando low key / Obsérva ese hate en ti / Que hace que tu visión se bloquea. (What is it that you hate about me? / I’m always moving low-key / Observe the hate in you / What blocks your vision? ), she steadily says on the second verse. Catch Niña Dioz perform at Delicious Pizza on June 9 at 7 p.m. Previous articleWhere Do People Move When They Leave California?